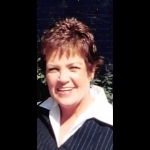 Nancy Ellen Bennett, age 61, passed away October 15, 2018. Beloved wife of the late Richard McFeely; loving mother of Erin Sullivan (Tony) DiCianni; grandmother of Luke Anthony DiCianni; caring sister of Timothy (Gail) Bennett, Pat (Robert) Grapenthien and the late Chuck Bennett; fond aunt of Matt, Jeff and Danny Grapenthien and Dani and Mike Bennett; devoted daughter of the late Timothy and the late Ann Bennett, nee Flanagan. A memorial visitation will be held Friday, October 19th from 11:00 am to 1:00 pm, with a memorial service beginning at 12:30 pm, at Olson Burke/Sullivan Funeral & Cremation Center, 6467 N Northwest Hwy (one block north of Devon), Chicago IL 60631. Interment private. In lieu of flowers, memorial donations to Cystic Fibrosis Foundation, www.cff.org or Chicago Police Memorial Foundation, www.cpdmemorial.org would be greatly appreciated. Arrangements entrusted to Olson Burke/Sullivan Funeral & Cremation Center. For more info, call 773-774-3333. My husband Tim and I am so sorry to hear about Nancy, please accept our heartfeld condolences. She was a wonderful woman who was always very welcoming when we came over to help her and my husband's father, Richard. She even shared her smoothie recipe with me that her and Richard used to enjoy. She will be missed.